A Denver-based ESL university pathways provider and a market intelligence firm specializing in international education announce joint research initiative. The purpose of this study is to provide insight on both the pace of adoption of agencies as a recruitment channel partner by U.S. universities, as well as how specific market forces and public opinion are influencing how this adoption takes place. Founded in 1986, Bridge is a world leader in language and education abroad. An international company with headquarters in Denver, Colorado, Bridge offers a wide spectrum of language related products and services, including; university pathways, international student recruitment, language training and immersion programs, teacher training and development courses, language testing, translation and interpretation services, and cross-cultural travel programs including international service learning, language study and teaching English abroad. Bridge, BridgePathways and BridgeAbroad are registered trademarks of Bridge Education Group, Inc. in the USA. All other company names may be trademarks of their respective owners. © 2016 Bridge Education Group, Inc. All rights reserved. StudentMarketing, a UNWTO Affiliate Member, is a global market intelligence and development firm specializing in the youth, student and educational travel market. The company provides comprehensive understanding of global student mobility patterns and market trends and is a preferred partner of destinations, educational institutions, associations and other top brands wanting to succeed in the international youth and student travel market. 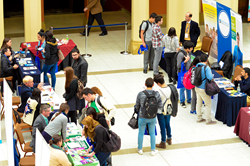 StudentMarketing develops strategies, drafts policies and provides tailor-made solutions. The company has 4 offices located in Europe and China, with team members holding individual membership in ESOMAR. 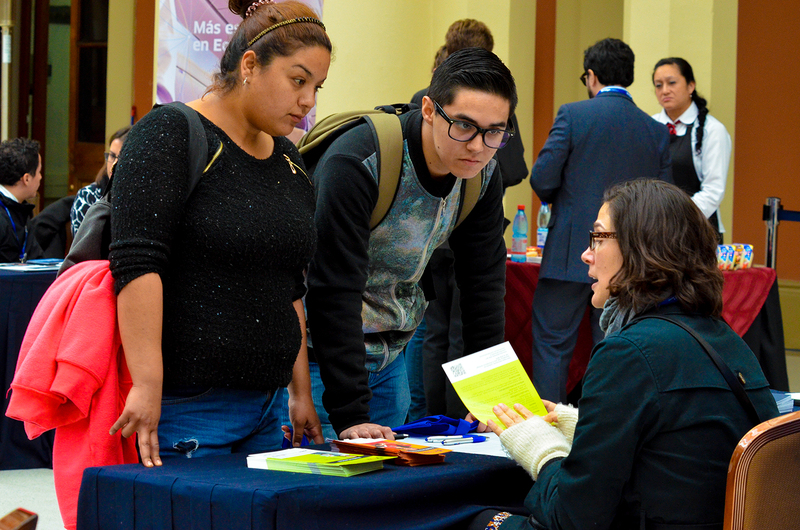 Students learn about higher education opportunities in the U.S.